In the midst of a veritable downpour, a gallant driver saw a woman alone in the mud trying to change a flat tire, and couldn't bear passing her by. He completed the job for her, and, soaked to the skin, exclaimed jovially, "There, little lady, that's done!" "Quiet," she ordered him. 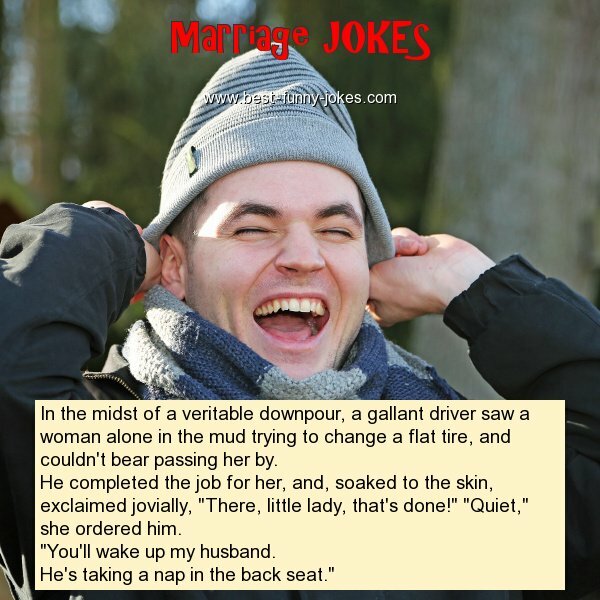 "You'll wake up my husband. He's taking a nap in the back seat."